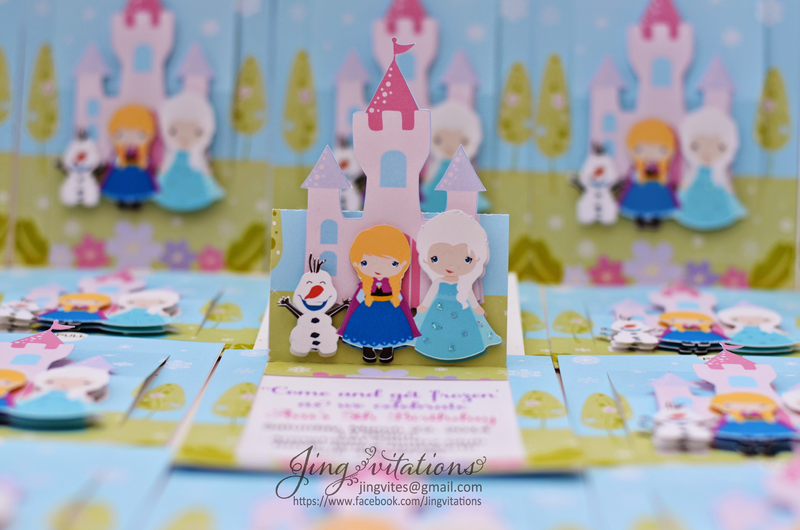 This is the pop up mechanism invitations. 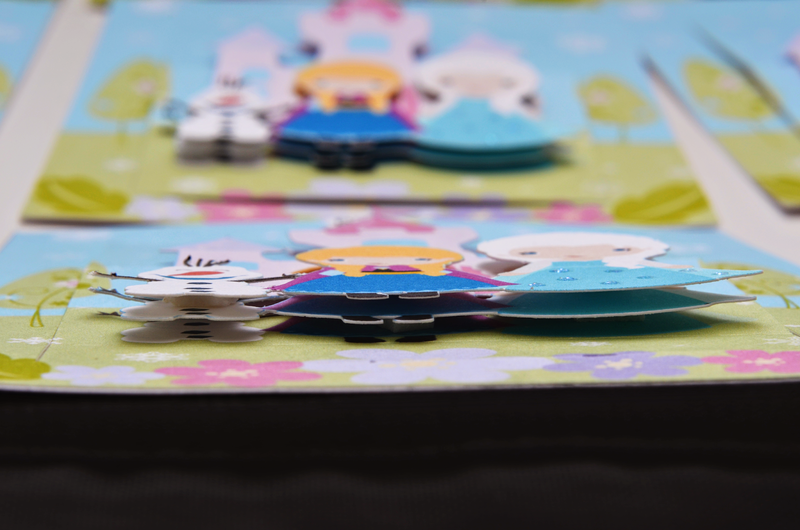 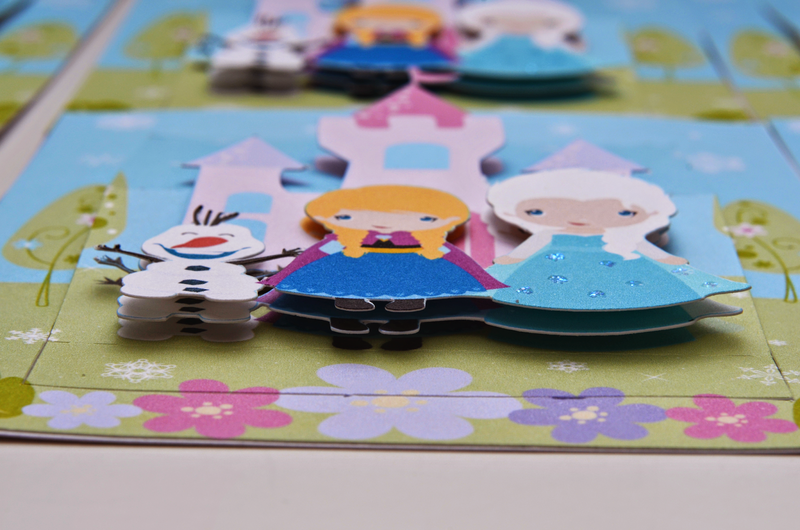 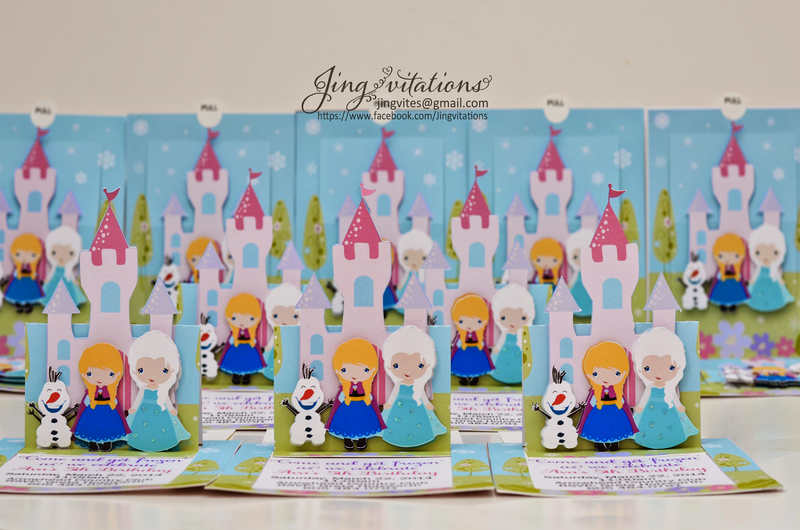 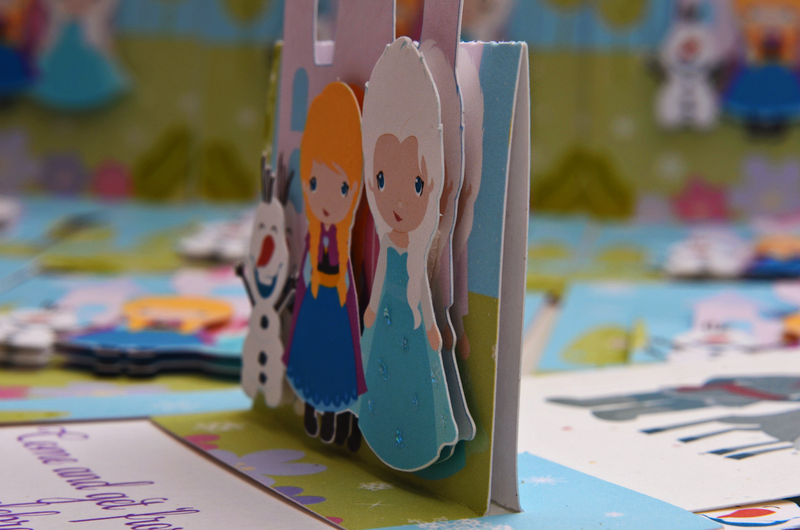 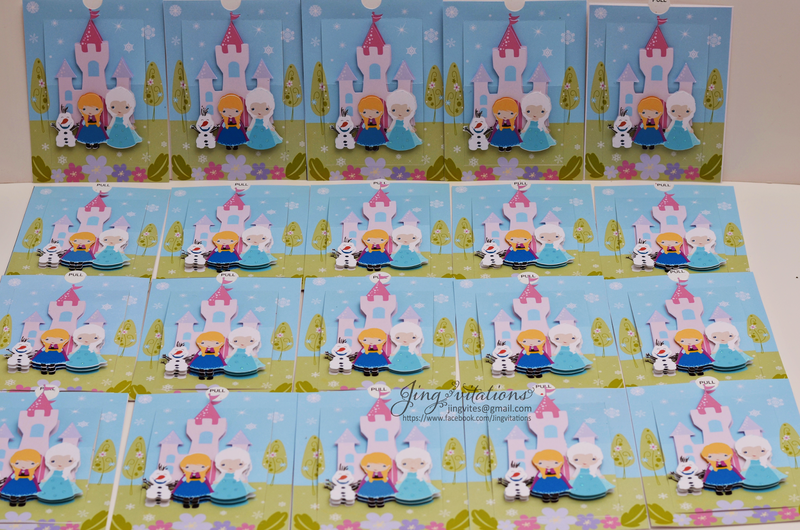 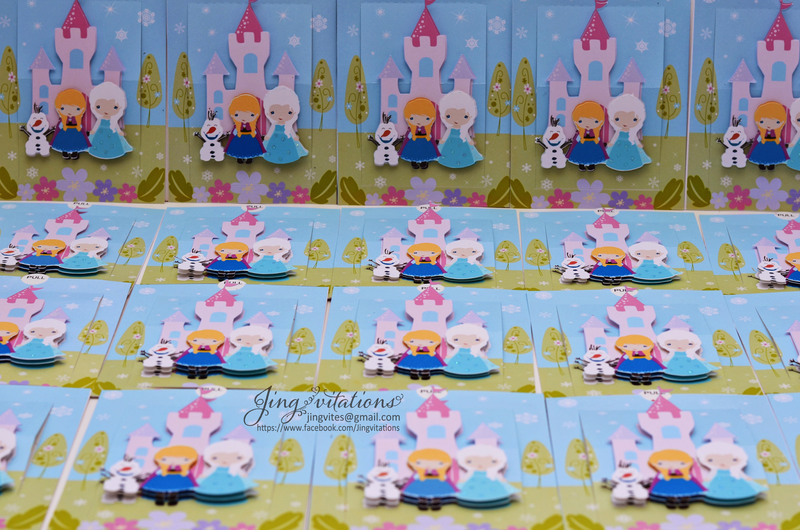 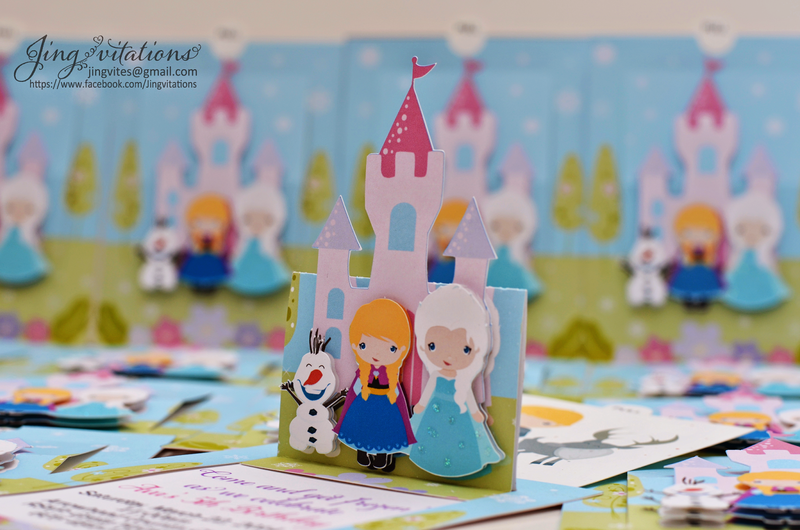 Pull tab and Queen Elsa, Princess Ana and Olaf Pops Up. 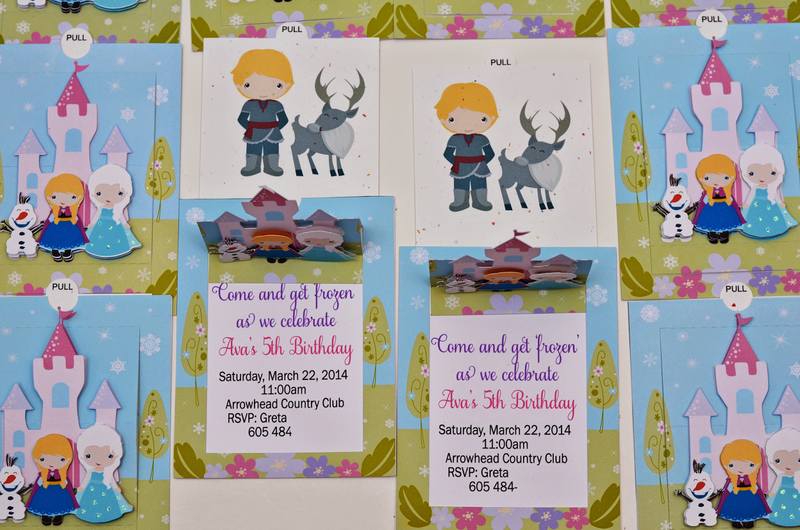 It reveals the party information and Sven & Kristoff on the other side. 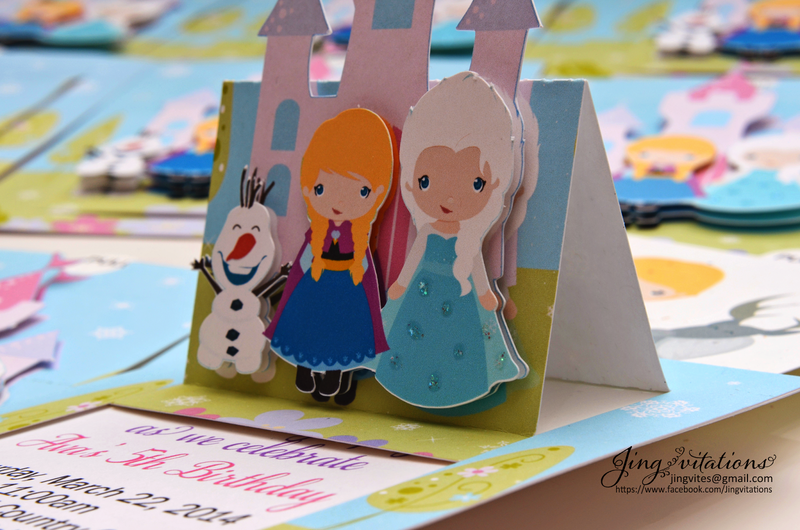 Handmade and very unique that would surely impress your party guests. 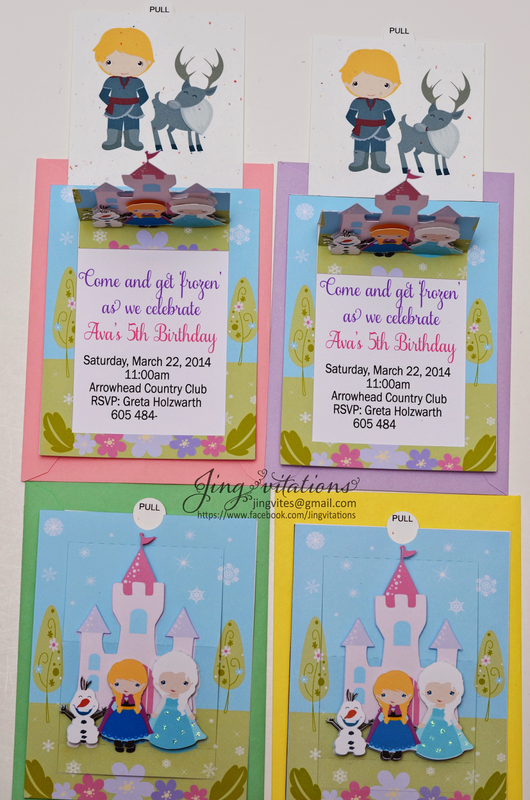 To inquire more about this invitations pls use the Contact Form above.